Judaism is the life—pattern based upon the Divinely-revealed Written and Oral Teaching (i.e. Torah) contained in the Pentateuch and Talmudical Tradition. This concept is the ’framework of reference’ and axiom of Judaism. Every science is bound by, and built upon, certain axioms, without which no proof, further analysis or investigation is possible. So is Judaism bound by, and built upon, this axiom of Torah Revelation. ’And Moses wrote this song on that day’ (ibid. 22); and especially, ’Moses made an end of writing the words of this law (Torah) in a book, until they were finished’ (ibid, 24). These, as well as many other passages (’The Lord spoke unto Moses saying’, ‘As the Lord commanded Moses’), show that the prophet Moses was the mediator who brought the word of God to Israel and wrote it down. This principle permeates the other books of the Bible, which pre-suppose the existence of the Pentateuch as the highest revelation of God’s Will, referred to as the Torah of God and the Torah of Moses. The books of the Prophets, a lower grade of revelation, describe the history of lsrael in its relationship to God and His Law; and come to strengthen the understanding and observance of the Torah. They begin with God’s injunction to Joshua:’Only be thou strong and very courageous to observe to do according to all the law (Torah) which Moses My servant commanded thee: turn not from it to the right hand or to the left, that thou mayest have good success whithersoever thou goest. This book of the law (Torah) shall not depart out of thy mouth, but thou shalt meditate therein day and night, that thou mayest observe to do according to all that is written therein’ (Joshua,1 :7, 8). ’They end with the Divine message to Malachi: ’Remember ye the Torah of Moses My servant, which I commanded him in Horeb for all Israel’ (Malachi, 3 : 22). The books of the third section of the Jewish Bible, known as the ’Writings', were recorded by means of the Holy Spirit, which is below prophetic revelation. They begin by describing the happiness of the man whose ’delight is in the law (Torah) of the Lord, and in his law (Torah) doth he meditate day and night’ (Psalms 1 : 2). They end with an account of the religious revival introduced by King Josiah of Judah after a period of corruption and religious laxity: ’And the King stood in his place, and made a covenant before the Lord, to walk after the Lord, and to keep His commandments, and His testimonies, and His statutes, with all his heart and with all his soul, to perform the words of the covenant that were written in this book . . . the book of the law (Torah) of the Lord, given by Moses’ (II Chronicles, 34 : 3], 14). The authenticity and Divine origin of the Torah were accepted by the authors of the Apocrypha, Pseudepigrapha and cognate literature; by Philo and the Hellenist writers. Nineteen hundred years ago, Josephus wrote:’How firmly we have given credit to those Books of our own nation is evident by what we do; for during so many ages as have already passed, no one has been so bold as either to add anything to them, or take anything from them, or to make any change in them. All Jews imbibe with their mothers’ milk the belief that these Books are of Divine origin, as well as the resolve to remain faithful to them, and willingly, if need be, to die for them. For it is no new thing for our captives, many of them in number, and frequently in time, to be seen to endure racks and deaths of all kinds upon the theatres, that they may not be obliged to say one word against our laws, and the records that contain them’ (Contra Apionem, 1 : 8). The Mishnah states that 'he who says the Torah is not from Heaven (i.e. God) has no portion in the World to Come’ (Sanhedrin, 10 : 4). ’One who said: "I accept the whole Torah except for this word” is guilty of having despised the Ward of the Lord; and even if he said: "the whole Torah is from the Holy One, except for this word which Moses composed himself” ’ (Sifre on Numbers 15 : 31). The Talmud reiterates this view (Yerushalmi, Sanhedrin, 10 : 1; Bavli, ibid, 99; see Hebrew Supplement A). All traditional Jewish Codifiers, Biblical and Talmudical commentators, scholars and philosophers up to our own time, have taken this as the foundation of Judaism. Maimonides wrote: ’The whole of this Torah which was handed down by Moses our Teacher is of Divine origin. This means that the whole of the Torah came to him from God in a manner which is metaphorically called "speaking"; but the real nature of this communication was known only to Moses, to whom it came . . . Every word of the Torah contains deep wisdom and wonderful truth for him to whom God hasgiven understanding. Its deepest wisdom is beyond the limits of the human mind. “It is larger in measure than the earth, and wider than the sea.” Man has but to follow in the footsteps of David, the anointed one of the God of Jacob, who prayed: “Open my eyes and I shall behold wonderful things from Thy Law” . . . When a person believes all this . . . he enters into the community of Israel . . . If he committed sins on account of material desire, or the overpowering force of his evil nature, he is punished according to his transgression, but he has a portion in the World to Come. But if a person's belief in one of these fundamentals has become corrupted, he has thereby left the community of Israel, and has denied the major principle of faith. He is called a Sectarian, heretic (Epikoros), and one who cuts down the plantations (of our faith)’ (Commentary on Mishnah, Introduction to Sanhedrin, 10; see Hebrew Supplement C). Rabbi Joseph Albo in his book ’The Principles of Faith’, states: ’Every man of Israel is obliged to believe that everything that is mentioned in the Torah is completely true, and he who denies any matter that is written in the Torah is termed a heretic’ (Section 1, Ch. 2). The whole stream of Jewish thought is based upon this axiomatic assumption. In more recent times, honest Jewish thinkers of all schools have recognised that the concept of Torah—revelation is the only basis for a definition of Judaism. This is apparent from the writings on this subject by, for example, Z. H. Chayes, S. R. Hirsch, M. Cahn and S. Kaatz. A discussion in the ’Monatschrift fuer Geschichte und Wissenschaft des Judenthums’ (1923—1927), which included liberal scholars, came to the same conclusion. The above concept is ‘The Root of the Jewish Religion’ (title of a brilliant essay on this topic by J. Wohlgemuth in Jeschurun, I928). Alternative attempts at a definition of Judaism have led to confusion and subjectivity. Most of the sects and religions that have branched off from Judaism have also accepted this basic principle. The Samaritans who separated from the main body of the Jews at the beginning of the Second Temple period based their creed upon the Pentateuch which they regarded as of Divine origin. So did the Jewish Hellenists, the Essenes, the Qumran sect, the Sadducees, the Boethesians, the Karaites and most groups of reformed Judaism, until recent times. This was also assumed by the sacred writings of Christianity and Islam; and by the scholars and masses of humanity who adhered to these daughter-religions of Judaism. Today it is the belief of millions of people and thousands of Gentile scholars. That which divides tlheze sects from authentic Judaism is their non-acceptance of Jewish Tradition. The written Revelation (תורה שבכתב) was accompanied by the Oral Revelation (תורה שבעל פה). This incorporated, apart from the above, the exposition of the written laws, some independent oral transmissions (הלכות למשה מסיני), and rules of interpretation and application (מדות). The Oral and Written Torah form an indissoluble unity. Shechitah, for example, is only hinted at in the text of the Pentateuch, in the words: ’Thou shalt kill of thy herd and of thy flock which the Lord hath given thee, as l have commanded thee’ (Deuteronomy 12 : 21). This commandment, otherwise not mentioned in the Pentateuch, was expounded in the Oral Revelation. The Divine Revelation forms the basis for the life-pattern of Halachah, i.e., the way of life in which a man is to 'walk’ and 'progress' (הלך), as it is applied in the Codes and Responsa to the changing conditions of each land and age. The Halachah decides questions of belief and sets up norms of action (איסור,מצוה,חובה). But it also leaves a large sphere undefined and open to individual choice (רשות). It allows for variance of custom and divergence of opinion, as long as the framework of Halachah, based upon Torah-Revelation, is accepted. This is the demarcation line between, on the one hand, the variance of Ashkenazi and Sephardi customs, or the disputes of Hillel and Shammai; and, on the other hand, the dissenting opinions of the Sadducees, Karaites and Reformers, who did not accept the framework of Halachah. The Halachah combines the characteristics of permanence, in its definite principles and standards of behaviour; and progressiveness, in that these standards can, and should be, applied to all circumstances of life. All aspects of life, in all periods and places, should progress towards the high standards of the Halachah. These two characteristics are based upon the authority of the Halachah, which is the recognition of the Divine origin of the Torah. For without this, individual judgement becomes the final arbiter of what is right and wrong, and no objective criterion or authority remains for deciding questions of creed and deed. There is at present much discussion whether the Jew is to be defined as a member of a race, a nation or a religion. The rise of the Jewish State has increased the urgency to arrive at a clear definition. The only historical and logical method of gaining this, is to refer to the objective criterion of Halachah based upon Torah—Revelation: A Jew is one who has accepted the framework of the Divine Torah as his way of life, or whose maternal ancestors have done so. All other ways of definition lead to complete confusion. It is this concept of Divine Teaching, embracing the Written and Oral Tradition, that forms the distinctive basis for Judaism. As Rabbi Moses Ben Maimon states: ’He who says that the Torah is not from God—even one verse or one letter—is a denier of the Torah (who has no portion in the Hereafter). So also he who denies the truth of its interpretation, the Oral Teaching, or the authority of those who teach it; and he who says that the Creator has replaced a certain precept (Mitzvah) by another and that this Torah no longer has application, though it is of Divine origin. Each one of these three types is a denier of the Torah’ (H. Teshuvah, 3 : 8). The last-mentioned principle is an outcome of the first two principles, for it is clearly stated in the Pentateuch and elucidated in the Oral Tradition that the laws stated therein have eternal validity. The Christians, Moslems and groups of Reform and allied Jews deny the third principle whilst they accept the first two. The Sadducees, Boethesians, Karaites and other groups of Reform Judaism deny the second principle. Pagan, Christian and Jewish Bible Critics deny the first principle. 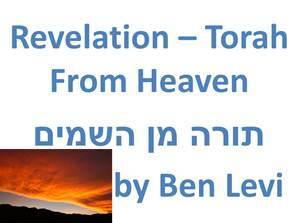 Authentic Judaism is built upon acceptance of Torah-Revelation in its three inter—related aspects. This is the factor unifying the faithful Jews of Biblical, Talmudical, Medieval and Modern times; and the Oriental, Sephardi, Ashkenasi, Chassidic, Lithuanian, West-European and American observant Jews of today. Any expression of life and thought that accords with this framework of Halachah may be termed Judaism. But the pattern of life and thought presented by Hebrew idol—worshippers in ancient times, by Jewish Hellenistic assimilationists, Jewish Christians and Mohammedans, Sadducees, Karaites and Reformers, who have not accepted this framework, cannot be termed Judaism. This throws light upon the question of the ’Fundamental Beliefs’ (עקרים) of Judaism. In the words of Abravanel: ’The Divine Torah is altogether true in its creed, and all its precepts were commanded from Heaven. The affirmation of all the beliefs and all the precepts, both small and great, is demanded. Therefore, I do not think it correct to set up ’principles’ and ’fundamentals of belief’ of the Divine Torah, for we are obliged to believe everything that is written therein . . . Rabbi Moses Ben Maimon chose thirteen most general and comprehensive principles of faith to present, in a concise form, an introduction to the wisdom of the Torah. He called them fundamentals of faith, not objectively, but from the point of view of the student who needs to acquire an introduction to the creed of the Torah’ (Rosh Amanah, Ch. 23). Rabbi David lbn Zimra, a great Medieval Halachist, gives the following lucid reply to a questioner: ’I do not think it correct to set up any fundamental principle for our perfect Torah, for all of it is a fundamental principle revealed by the Almighty. The Rabbis, of blessed memory, said: "He who says that the whole crah is from Heaven except for one verse is guilty of having denied the Word of God”. Therefore every Divine precept is a fundamental. There may well be a Mitzvah which seems to have minor significance; yet in truth it is based upon a reason which is not easily perceived. So how can we say that a certain Mitzvah is of secondary importance. whereas another is a primary principle? ! . . . Therefore, if a person Was forced by a persecutor to transgress one of the commandments of the Torah, declaring that the Holy One, Blessed be He, did not command it, or that it only applied for a certain time and is now out-dated, he should allow himself to be killed rather than transgress' (Radbaz, Responsa, 344; see Hebrew Supplement B). The discussions concerning the number and character of Jewish fundamentals, turn upon the question of the importance of the various beliefs of Judaism; the fundamentals whose denial means apostasy; and similar considerations. Various beliefs were often stressed by authorities with regard to the necessities of their time. But all these fundamentals are an outflow of the principle of ’Torah from Heaven’ (תורה מן השמים). There has been much debate whether or not Judaism possesses dogmas. If this is taken to mean that the acceptance of a certain belief can, without anything further, grant the believer salvation (as in many Christian sects), then there are no Jewish dogmas. If it is taken to mean the obligation to accept doctrines contradicted by reason, then there are no Jewish dogmas. For Jewish doctrines are all reasonable, though they may not be rational in the narrow sense of the word. If, however, ’dogma’ is taken to mean a doctrine whose acceptance is an essential condition of any understanding, analysis or investigation of a religion (’ “Dogma” does not mean the absence of thought, but the end of thought’), then ’Torah Min Hashamayim’ is the single dogma of Judaism. 'Torah Min Hashamayim’ is also the criterion of that which is eternal and transient in Judaism. It is false to assume that Judaism in any age has been entirely time-bound and conditioned by its environment. ’The view that man’s thought is entirely conditioned by environment ends in relativistic suicide’ (Hutchinson). It is clear from the above that the eternal, un-changeable element of Judaism is the principle of Torah Min Hashamayim and all that it implies. Jews who have adhered to this have represented Judaism, expressing themselves, very often, in the language and idiom of their period and place. The Divine Pattern of life, the Torah, forms the gauge whereby the Jew should measure which elements of his environment to accept, and which to reject. All those elements which agree with the Torah may be accepted but those which conflict with it should be opposed. The Torah,with the Halachah based upon it, is the fixed framework of Judaism, in whichever language it is expressed, and to whichever environment it is applied: ancient, medieval, modem or future. Jews who have forsaken this criterion have very often become slaves of their period; for they have often given up their Judaism to the ephemeral fashions of the age. There is nothing so quickly out-dated as ’up-to—date’ Judaism. For he who marries the Spirit of one age will become a widower in the next. Eternity is greater than modernity. There are many to-day who have been almost ‘brain—washed’ by the myth of modernity. Many contemporary currents of thought and life are Satanic, superficial and false. There are to-day conflicting views held about everything—which reduces modernity to a chaotic and meaningless concept. The traditional view of Divine Revelation, which is responsible for much of the good in human civilisation to-day, is also a ’modern' view, upheld by hundreds of thousands of men to-day. Whenever a synthesis is attempted between the permanent truths of Jewish tradition and the best thought of the day, the only possible criterion is the one outlined above. Those who depart from this have nothing left but relativistic whims, or enslavement to their environment, whereby to decide what is permanent in Jewish tradition and best in modern thought. Those who attempt such a false synthesis often develop a hybrid faith that is neither modern nor Jewish. A view of Judaism which disagrees with Torah Min Hashamayim can obviously not be termed orthodox—which means correct belief—for it contradicts the basic belief of Judaism. It cannot be termed traditional, as it contradicts Jewish traditional concepts. More than this, such a view, as shown above, does not represent Judaism. Authentic Judaism has suffered from unauthentic ’brands’ of Judaism, in the form of open opposition as well as deceiving distortion. Under such titles as ’Atheistic’, ’Communistic’, ’Racialistic’, ’Nationalist’, (’Gastronomical’!) Judaism, it has been given a wrong secular image. And under such titles as ’Christian’, ’Liberal’, ’Reform’, ’Reconstructionist’,’Conservative’, ’Historical’, ’Theological' Judaism, it has often been given a wrong religious image. Some of leaders of these groups have been honest enough to admit that their views meant a breakaway from Judaism, which term was, in their case, really a misnomer. Others, however, have striven to read their views into traditional Judaism, thus painting a false picture. Actually, some of these terms are wrongly borrowed from Christian theology, and cannot simply be transferred to unique Judaism, which has only one definition. 'Torah'-Judaism gives no saving power to ’doxia’ (orthodox), it is futuristic and revolutionary (traditional and conservative), it demands continuous ’reform’ of self, and grants, through adherence to the Law, true liberty (liberal). Authentic Judaism does not demand uniformity of thought and life, for ’as people’s faces differ, so do their minds’; how much more so the attitudes of men in differing times, countries and climes. The definite pattern of living presented in the Universal (Noachide) and National Code of the Torah of God allows for a great deal of diversity, at the same time introducing stability, harmony and unity into all individual and social spheres of life. This is shown by the variety of ethos and attitude, character and custom, manners and mores of the Jews who have, in past and present, followed the Divine Revelation. As water and sunshine bring growth to multitudinous species of plants, so can the Torah, the Word of God, bring spiritual growth to all types of personalities and groups of people. A great European thinker had sewn inside his jacket a piece of paper upon which was written: ’The God of Abraham, Isaac and Jacob—not the god of the philosophers’. The Almighty reveals His Being through the mind and emotions, nature and history, but the most direct revelation is by means of prophecy, whereby God reveals His Will. The Divine Will was imparted to Adam, Noah, the Patriarchs and leaders of our people through prophetic Revelation. The Hebrew word for prophet, נביא, means the one who expresses (ניב) Divine messages that need to be brought (בוא) to men. Some assumed that prophecy was purely a matter of Divine Grace, whilst others held that it was but the highest stage of spiritual perfection. It is a combination of both: ’Prophecy only rests upon a very wise man, strong in moral qualities, whose mind always rules his inclinations. When he enters upon metaphysical contemplation, sanctifies himself and trains his mind never to think about temporal matters, but to be always bound to the Throne of Glory, the Holy Spirit rests upon him and he becomes a different man greater than all the sages. Then, as a gift of Grace, whilst his bodily functions are weakened, he may be shown symbolic prophetic visions in dreams’ (Rambam, H. Yesode Hatorah, 7 : 1). The highest stage of prophetic Revelation was granted to Moses, our teacher, who was the chief of the prophets, both of those that preceded him and of those that followed him. ’Moses saw the Divinity through a transparent glass, whilst other prophets only had a vision of Him through a mirrored glass’—the revelation granted to them passed through the personality of the prophets, thus accounting for the variety of style. But God spoke to Moses directly, without the above limitations (ibid, 3, 6). The words revealed to Moses, who was a passive instrument of Divine Speech, represent the objective Will of God. This blueprint for civilisation, recorded in the Pentateuch and transmitted in Jewish tradition, was revealed by the Omnipresent Eternal One, and has universal and eternal application. In the following analysis, ’Revelation’ refers primarily to this ’Special Revelation’. This is to distinguish it from ’Natural Revelation’, which is largely the recognition of God’s Being by means of reason and sense-data. In particular, ’Revelation’, as used here, refers to the Pentateuch, as the Word of God. ’Reason' refers to the combination of sense-experience and the intellectual faculty, which forms the foundation of the scientific method. How then, is Revelation related to Reason? Man cannot analyse the soul with a microscope, nor scan God with a telescope. Similarly, he cannot, in retrospect, view God’s speaking with man by using the spade of the archaeologist. To deduce from this that the soul, God, prophecy and Revelation do not exist, is reasoning like the fisherman who proved that water does not exist because his net never brought it up. Just as the eye cannot perceive the grandeur of music, nor the tongue taste the beauty of colours, so can external Reason not conceive Revelation completely. In its wider forms, Reason can come near to these concepts. Yet it can never fathom them to the full. Much as science may be able to analyse a person chemically, but does not convey real knowledge of the person—-for this, inward personal acquaintance is essential—so is religious Revelation required for a knowledge of the Personal Ethical God. For Reason does not see things in their true reality, but only through the mind’s relative view of space and time. Reason can analyse the external appearance of things. But the absolute reality of things belongs to the sphere of ’noumena’; which can only be truly perceived by intuition or some supra-rational faculty, or postulated by the moral consciousness. The truths of God, the soul, prophecy and Revelation belong to this higher dimension of experience above external sensation and human reasoning. These two dimensions of experience have been variously formulated: synthetic and analytic, intuitive and discursive, experiential and impersonal, inward and external, feeling and thinking, attachment and detachment. Revelation deals with meaning, truth and ends; Reason with measurement, facts and means. It is possible to conceive of paradoxes. ’Truth should never be suppressed to conform to our notion of coherence’ (Hutchinson). The categories of external Reason and scholarship can therefore not be applied to the Divine Torah. As an emanation from God, we must apply to it the principle: ’My thoughts are not your thoughts, neither are your ways My ways, saith the Lord’ (Isaiah 55 : 8). The Torah transcends human Reason. Much as the contradictions that appear in the sphere of nature and life are solved in the ’noumenal’ world of God, so also are the apparent difficulties in the Pentateuch resolved by realizing that the Torah is beyond external reasoning. It is only the outer garment of the Torah which is completely within the reach of Reason. (See the works of l. Breuer and the comment of Malbim on Psalms 1.) It is in this sense that man is commanded not to go ’after your own heart and your own eyes after which ye use to go astray’ (Numbers 15 : 39), i.e., not to follow materialistic reasoning. Note that the evil serpent of materialism began its ugly work by sowing seeds of doubt into man’s mind, saying: ’Did God really speak? !’ (Genesis, 3 : 1). Revelation and materialistic rationalism thus belong to two different spheres. But there is a deeper manner in which Revelation forms the necessary basis for Reason. upon intuitive beliefs’ (Russell). ’Faith in Reason cannot be justified by any inductive generalisation’ (Whitehead). ’All our reasoning reduces itself to yielding to feeling’ (Pascal). ’Faith principles are the foundations of all philosophies’ (Richardson). Our rational conception of the universe is limited by Time and Space, and is relative. All thoughts, including those of the scientist, cannot, therefore, make any claim to absolute truth. Perception flows from the structure of the human mind, and is therefore partly subjective. Facts of science change from generation to generation, and are the subject of constant controversies. Newton’s Law of Universal Gravitation and the Law of the lmmutability of the Elements, considered facts not long ago, are rejected to-day. Einstein wrote: ’There are no eternal theories in Science’. Science as a self-sufficient philosophy, in the form accepted by many, has other self—defeating aspects. The law of causality, though scientifically incorrect according to the Principles of Indeterminism, is still popularly assumed to operate even in the spheres of psychology and sociology. According to this pseudo—scientific view, the actions and thoughts of man are determined by antecedent chance causes. But this also applies to the thinking of the scientist, which is determined by chance biological or sociological factors, and therefore loses its claim to truth. ’Truth’ and ’falsity’ then lose their meaning. Man lives by values, but the world which is apparently presented by materialistic science is blind to the moral freedom of the personality, to conscience and sin, to good and evil. This is therefore not a total view of the world. Furthermore, one cannot really deduce what a man ought to do from a study of what man is, i.e., from mere rationalism. Reason is a useful tool, but cannot, by its very nature, decide fundamental issues. It all depends upon what Reason goes to prove, and which master it serves. Fundamentals can, therefore, only be ascertained by the transcendence of Reason, by intuitive belief— by what thinkers term ’the leap of faith'. Only by breaking through the natural limitations of life can the Absolute, which is the ground of Existence, be reached. (Compare the Akedah (Binding of Isaac), in which Abraham passed the ultimate test of faith by opposing reason and ethics for the sake of the Word of God.) Only faith in the Transcendent Source of life, Who lies beyond experience and objective knowledge, can deliver us from our dilemma. If God is taken as the starting-point of all thought and experience, the homeless spirit finds anchorage. Reason, freedom, values and concrete eXperience acquire a firm foundation in their relation to the True Absolute One in Whose image man has been created. ’Vanity of vanities . . . all is vanity . . . that which has been will be . . there is a vicious circle in nature, society and reasoning . . . all is governed by relativity The end of the matter, when all is heard, is: ’Fear God and observe His commandments, for this is the whole of man’ (Ecclesiastes). The lneffable Name of God,'הוי, means that He is the Absolute Being (See Exodus 3 : 14), Who gives relative existence to all things. ’The fundament of all fundamentals and the pillar of sciences is to know that there is a Prime Being who causes all things to exist. All beings only exist though the truth of His existence. it it could be thought that He does not exist, nothing else can exist, and if it could be thought that nothing apart from Him exists, He alone will exist. All beings are dependent upon, and relative to, Him, but He is not dependent upon them. Therefore the truth of His existence is not like the truth of any other being. The Prophet says: “God is truth” for only He is Absolute Truth, all else is relative truth’ (Rambam, H. Yesode Hatorah, 1 : 1). The choice lies between faith in some false absolute, in man, or man-made idols, the construction of our hands, heart and mind, the service of the self or its projection; and faith in the true Absolute God as the measure of all things. ’Human Destiny’, Pierre du Nuoy.) Providence in history and individual life, the Moral Law, the need for religious worship, and many other factors have been adduced as evidence that He exists. That which applies to God also applies to His Revelation: Revelation is partly beyond Reason and forms the necessary basis for Reason. Yet it in no way contradicts Reason: there is reasonable evidence that leads us to conclude the truth of Revelation. Once God’s existence is assumed, it follows logically that the Purposeful Designer should, in creating a conscious creature, have revealed to him the purpose of his life, and the manner of achieving this purpose. A God who cares about man is likely to have revealed Himself to His favourite creation. Furthermore, it is impossible to find the purpose of life within life itself. Therefore man must go to the Transcendent sphere to find it. An ethical system which is not divinely founded gives little motive or power for the good life, and is bound to be relative and subjective, uncertain and unstable. The uniqueness of the Torah is evidenced by the fact that it was in violent conflict with the tendencies of the environment and trends of the age. It formed a contrast to the surrounding nations and could not have arisen from them. The Babylonian civilisation based upon corrupt polytheism and magic; the culture of Egypt, with its idolatrous cults, the system of the land-owning priest-caste, and the embalming of the body (based upon the concept of the body’s eternal existence), were in opposition to the spirit of the Bible. (Freud’s ’Moses and Monotheism’, an attempt to explain the Torah from Egyptian origins, is regarded as fantastic nonsense by serious scholars.) Leading modern scholars state: ’The Hebrews brought with them from Egypt no cultural baggage’ (Orlinsky). ’The religion of Israel revolted against every internal aspect of Egyptian religion’ Goldman). ’Between Judaism and the coarsely polytheistic religions of Babylon and the old Egyptian faith, there lies an impassable gulf. I can find only one explanation, un-fashionable and antiquated though it be; In the language of a former generation, it marks the dividing line between Revelation and unrevealed religion’ (Sayce). ’The new discoveries support the claim that Israel was in, but not of, the ancient world’ (Pritchard). ’The uniqueness of Biblical Revelation has been emphasized by contrast and comparison to the newly understood religions of ancient peoples’ (Elder). ’If you wish to show the divine superiority of the Bible, place it among the sacred books of the East’ (Mueller). Magic and mythology, so prominent in Ancient Oriental literature, are entirely absent from the Bible. The Bible possesses an objectivity unmatched by human documents. Nowhere do we find the blunders of people, of its kings and leaders (even Moses and David) so clearly condemned as in the case of Israel, nor do we find elsewhere such unbiased reports of defeats. It is the only historical record that places universal values and objective truth above patriotism. No nation would have made the inglorious and humiliating claim that it had descended from slaves. The modest, truth-loving Moses, who protested against the acceptance of his task, cannot have imposed upon the people. The Torah stresses that he was, by nature, a bad speaker, lacking self—confidence, who had to have recourse to the advice of a Midianite to administrate justice among the people. Moses would not have led the people to wander into the desert, not knowing how to feed them, and where to lead them, for forty years, unless at Divine command. ’Moses and the succeeding leaders of Israel were outstanding personalities whose moral inte rity and love of truth is shown by every word they left behind. They levelled the most acrimonious accusations against the false prophets who dared to present their own words as Divine Revélation. Moses and the other true leaders would thus never have presented their words or the Torah as coming from God if this were not the full truth’ (Biberfeld). ’The prophets were conscious of the over-mastering pressure of God who forced them to speak against their inclination’ (Gore). ’The prophet’s message bears the stamp of originality, of opposition to contemporary thought, of a word of God forcing itself to find expression through the human instrument. Here we may reasonably claim to have a Revelation from God to man, independent of human reflection and discovery; a downrush from the superconscious rather than an uprush from the subconscious' (James). A few millions of the people of Israel attained a prophetic height at the foot of Mount Sinai, when they heard the first part of the Decalogue declared to them by God. The purpose of this was: ’That the people may hear when I speak with thee (Moses), and may also believe in thee for ever’ (Exodus, 19 :9). The whole nation was thereby brought to the conviction that the Torah — וזאת התורה אשר שם משה לפני בני ישראל — ’This Teaching which Moses set before the children of Israel’ was על פי ד the Revelation of God. The Sinaitic experience transformed the Revelation of the Torah into one which was witnessed by millions of people. It is significant that the Pentateuch indicates that the truth of the Sinaitic Revelation would be challenged in the course of history, as is happening to—day: ’Lest thou forget the things thine eyes saw, and lest they depart from thy heart all the days of thy life; but make them known unto thy children and thy children’s children . . . the day that thou stoodest before the Lord thy God in Horeb’ (Deuteronomy 4 : 9, 10). This basic Revelation is assumed by the Prophets. ’The whole line of prophets, from Moses to Malachi, make the same assumptions, and show a unanimity of thought that cannot be a delusion’ (Sanday). An unbroken chain of live historical tradition, over three thousand years old, is based upon this Revelation. We must also remember that the outstanding trait of the Jews throughout history is their ’stiff—neckedness’. ’The hard—hearted scepticism of the Jewish mind shows that they must have been overwhelmed by a communal 'experience' such as the Revelation at Sinai to depart from the vicious immoral cults that held the surrounding nations in their grip’ (Biberfeld). They- would never have accepted ‘the Torah if they had not been convinced of its Divine source and authority. Many Biblical predictions have been fulfilled. (This is regarded as a test of the truth of prophecy in Deuteronomy 18 : 21). The cultural development of mankind was predicted by Noah: ’God grants beauty to Japheth, but He shall dwell in the tents of Shem, and Canaan will be their servant’ (Genesis, 9 :27). Greece, descended from Japheth, has given the arts to civilisation, whilst the world’s religious ideas have gone forth from the tents of Shem, the Hebrews. The descendants of Ham and Canaan were, for many years, the slaves of other nations. The 70 years exile predicted in Leviticus, Ch. 26, was literally fulfilled in the Babylonian Exile (Jeremiah, Ch. 11). The destruction of Judea by the Romans is foretold in all detail in Deuteronomy, Ch. 28. A Jewish king would be led into captivity before the ultimate destruction (verse 36), which happened to Aristobulus. ’The stranger that is in the midst of thee shall mount above thee higher and higher, and thou shalt come down lower and lower’ (v.43), was fulfilled when Herod the ldumean became king and maltreated the Jews. ’He shall put a yoke’of iron upon thy neck . . . The Lord will bring a nation against thee from afar . . . as the eagle swoopeth down . . . a nation of fierce countenance, that shall not regard the person of the old, nor show favour to the young’ (v.50). This is a vivid description of the iron rule of the Romans, the only nation of antiquity that fought under the symbol of the eagle. The war of the Romans, the siege with its resulting famine, the sale of Jewish captives to Egypt, mentioned in that chapter, were all literally fulfilled. The horrorful exile of the Jewish people was predicted thousands of years ago: ’The Lord shall scatter thee among all peoples from the one end of the earth even unto the other end of the earth . . . among these nations shalt thou have no repose, and there shall be no rest for the sole of thy foot. But the Lord shall give thee there a trembling heart, and failing of eyes and languishing of soul’ (Deuteronomy, Ch. 28 : 64-5). The extraordinary devastation of the Holy Land throughout the centuries up to recent times, was predicted . . . ’when they see the sickness which the Lord has laid upon that land, which is brimstone and salt and burning , that is not sown, nor anything grows therein’ (ibid, Ch. 29 : 21-2). The present situation of the Jewish people, (’He will bring back your captivity'), the United Nations, and the ideals of justice and peace which have become the hope of mankind, are clearly presaged in the Bible. The predicted survival of the Jewish people, against all odds and despite all efforts to destroy it, with the Torah in its arms, is evidence of the Divine origin of the Torah. ’The survival of the Jews, their resistance to destruction, their endurance under absolutely perilous conditions, and the fateful role played by them in history, all point to the mysterious foundation of their destiny’ (Berdyaev). So is the fate of the Pentateuch, and the rest of the Bible based upon it. It has became the religious Book per se of hundreds of millions. It has inspired nearly every great man on earth, and has helped to build up the culture of almost every nation,—a fulfilment of ’I will bless those that bless thee’. This ’best-seller’, which has been translated into a thousand languages, is the greatest moralising power of civilisation. The only explanation for all this is that it is not a human book; it is eternal because it emanates from the Eternal One. Archaeological discoveries are continually establishing the astonishing accuracy of innumerable details of the Bible. ’Archaeology shows how unique was the religious insight of the Hebrews, and provides cause for the belief that in the realm of religion they were indeed a chosen people'. ’Nowhere has archaeological discovery refuted the Bible as history’. 'The careful accuracy of the Bible has been repeatedly confirmed. The writings as an historical source are absolutely first class’ (Elder). The traditions of ancient peoples concerning Creation, Paradise, early man, the longevity of pre-Diluvian man, the Flood, etc., as well as the religious and legal heritage of antiquity, corroborate the Biblical account which has retained these traditions in their original urity, and refers to Divine Revelation of Laws and Truth to Adam and Noah. It has been shown that all men are members of one family, that mankind spread over all the continents from one starting point, and that the cradle of the human race was in the region of Mesopotamia. The Tower of Babel, the common origin and later confusion of languages; ’the table of nations in Genesis 10 which shows a remarkably modern understandin of the linguistic situation in the ancient world that stands absolutely alone in ancient literature’ (Albright), have been confirmed by recent discovery. Many details from the lives of the Patriarchs——- Ur of the Chaldees, the Battle of the Kings, the destruction of the Cities of the Plain, names of persons, places and general background in the lives of Abraham, Isaac, Jacob and Joseph, and the famine of Egypt, have found corroboration. The same applies to the Egyptian enslavement of Semites, the building of ’city—stores’, the oppression, the plagues, the Exodus, the desert wandering, the fall of Jericho, and the conquest of Canaan, as well as hundreds of names and details from the background of this period which are mentioned in the Pentateuch. Science is confirming many aspects of the Bible. The Scriptures assume that the Universe is immeasurable, that some of the innumerable stars have dark bodies, that the earth is a globe suspended in space, and that there are Laws of Nature. Of course, the Bible speaks in language relating to man, as we do ourselves. So it speaks of the sun ’rising’, just as we do to-day. Many scientists today confirm the fact that God created the world. Modern scientists write: ‘Mosaic cosmogony is in amazing accord with modern astronomical cosmogony’ (Armellini). ’No scientific description of the existence of the Universe, and of the man who does the explaining, has superseded the first words of the Bible: “In the beginning God created the heavens and the earth!” ’ (Moulton). ’The Creation Chapter is a marvellous anticipation of the modern view of creation as moving from the less to the more articulate, and reaching its consummation in man’ (Macfayden). It is a ’picture of the universe passing from the more random to the less random state, each step showing a victory of anti—chance over chance’ (Jeans). The order of created beings is in accord with scientific discoveries. Formless energy was followed by light independent of the sun, which is now known to come from outer space. This first act of creation might explain why the equivalence formula for energy and mass is related to the velocity of light—— e=mc2. ’There are two kinds of waves, bottled—up ones which we call matter, and unbottled waves which we call radiation or light. These concepts reduce the whole universe to a world of light potential or existent, so that the whole story of creation can be told with perfect accuracy and completeness in the words “Let there be Lightl” ’ (Jeans). The creation of the firmament was followed by sea and land formation, grass, herbs, trees, fish, reptiles, birds, mammals and man. This order is confirmed by geological and biological discoveries. ’The sciences of geology and biology were unknown in the time of Moses, and yet he writes as if he knew both’ (O’Connell). ’There was no such knowledge available then. Here we see the marks of Divine Revelation’ (L. T. ’More). Albright has stated: 'Modern scientific cosmogonies show such a disconcerting tendency to be short-lived that it may be seriously doubted if science has yet caught up with the Biblical story’. Many of the Laws of the Torah can only be understood as being directives from a Transcendent God. Divine origin must be assumed for such laws as Shemittah and Yovel, which depend upon God’s blessing for their fulfilment. No nation of its own accord would have invented, or accepted from a man, such a rigorous discipline, covering every aspect of life. ’lt is utterly impossible to assume that the Jewish people at any time, because of fraudulent and obscure documents, should have accepted a Law governing every detail of human life, and have yet remained faithful to it for thousands of years’ (Biberfeld). The Torah is a comprehensive, unifying guide for all aspects of life, individual, national and universal, theoretical and practical, hygienic, social, economic and political, metaphysical, psychological and pragmatical, ethical, legal and religious. ’One may say without hesitation that the Torah is the most complete science of man, and above all the most coherent and unified’ (H. Baruk). It is built upon the harmony of man, as science is built upon the harmony of nature. It is a science of how man is to live, unique in the annals of humanity. The application of reason to the Torah reveals its thorough reason-ability; so much so, that it has with some justice been termed the ’Religion of Reason’. ’Observe, therefore, the words of this Covenant’ —— למען תשכילו, translated by some (Seforno): ’in order that you will act with reason in whatever you undertake' (Deuteronomy 29 : 8). The great wisdom inherent in the teachings and regulations of the Torah has been praised by Jewish and Gentile men of wisdom throughout the ages, and especially in modern times, when scientific research has shown the truth of so many facets of these life-directives. The truth of the Torah and its inherent Divinity reveal themselves to every one who fulfils it and lives by it: ’The righteous shall live by his faith’ (Habakuk 2 : 4). ’The commandments of God are of goodly understanding to all those that fulfil them’ (Psalms 111 : 10). This ’pragmatic’ test of truth is of especial significance in the Jewish way of life which sees little value in theory without practice. It is this that makes the Torah into a ’Tree of Life’. Reason therefore leads to Revelation. It is no coincidence that Jewry has always been led by men of outstanding intellectual capacity. Knowledge of Jewish tradition demands the continuous application of logical methods of thinking to the sources. In the Daily Prayers, the petition for the ’Return to Torah’ is preceded by the petition for ’knowledge, understanding and intellect’. But all reasoning is limited by Revelation, without which it can easily lead man astray. Revelation must be accepted as belonging to a higher sphere, as well as forming the necessary basis for all reasoning. The three approaches therefore complement one another. This is implied in the Hebrew word טעם (Psalm 119 : 66). It means ’taste’, ’decree’, and ’reason’. As applied to the Torah and the Mitzvoth, this word teaches us to approach them as belonging. to a higher, intuitive dimension, which needs to be experienced and 'tasted'. They must also be accepted as the Absolute Decree from the Transcendent Source of life. Only then may they be investigated as objects of Reason. In this way Reason will unravel the marvels of Revelation: ’Open Thou mine eyes, that I may behold wondrous things out of Thy Torah' (Psalms 119 : 18). The anti-Semitic bias, whether based upon an inferiority complex or some other reason, has had a great influence upon the upbuilding of this pseudo-science. Dr. Schechter, who was no obscurantist, was surely not mistaken in terming Higher Criticism: ’Higher Anti-Semitism’. The foundations of Bible Criticism were laid ’by a brilliant succession of trained German Hebraists, all Aryan Christians’. ’The Critics suffered from Teutomania, and believed that a thing must be German or valueless’ (Albright). The notorious anti—Semite, Chamberlain, in the preface to his ’Foundations of the I9th Century’, hailed Winckler’s Biblical Critical works with great enthusiasm. The traditions of the Bible were described as ’silly, savage and senseless’. Wellhausen stated that the religion of the Pentateuch ’robbed Israel of its old natural heathenism, and put in its stead gloom, Puritanism and self-righteousness. lt deadened the conscience and took the soul out of religion’. This found its further development in Delitzsch’s anti-Biblical and anti-Jewish statements. He held the Jews responsible for Germany’s loss of World War I, and received the congratulations of the Kaiser for his lecture on ’Babel und Bibel’, which helped to dissipate the nimbus of the chosen people’. Delitzsch’s attitude towards Judaism as ’The Great Deception’ was shared by Harnack, Kittel, Duhm and numerous other Biblical Critical scholars. ’Wellhausen begat Delitzsch and Delitzsch begat Hempel’s “Fort mit dem Alten Testament” (“Away with the Old Testament”). All of these together had no little share in the composition of “Mein Kampf”. Scattered throughout the work of these so—called scholars there are all sorts of irrelevant anti—Semitic phrases. Breasted, for example, in his “Dawn of Conscience”, writing about the parallels between Egyptian and Hebrew wisdom, says: “The subsequent history of the Hebrews would not lead us to suspect that they have been indifferent to financial power or business success”, an observation for which there is no support except in the writings of anti—Semites’ (S. Goldman). It is recognised today in some circles that 'people who cannot understand a living Jew are disqualified from giving us a true picture of the Jewish past’ (Biberfeld). and Breasted, for example, should have each begun by selecting a people upon whose head they placed the halo that history had for centuries bestowed upon the Jews, then exposing the latter’s lack of originality and inherent baseness. Biblical Criticism is often nothing more than the "snarl of prejudice” ’ (S. Goldman). This bias is decreasing, but it is still strong, evidenced by the fact that no Gentile University has yet allowed a Jew to be Professor of Old Testament Study. 18th and 19th century thinking was coloured by the prejudice of extreme rationalism. Everything was viewed in the light of external, mechanical and causal principles, which were thought to be scientific, certain and absolute. This view was applied to all fields of scholarship, including the Bible. mechanical interpretation of nature no longer exists; causality has been replaced by probability. Absolute, certain knowledge of reality does not belong to the realm of science, which attempts an interpretation of phenomena, the true nature of which can often not be understood. The idea that ’only that which may be confirmed by common experience’ has true reality, which lay at the root of much Biblical Criticism, is quite false in the light of modern thought. when people wished to loosen themselves from the moral restraints imposed by Divine Revelation. Today it is widely appreciated that miracles and prophecy are possible and ’there is more in heaven and earth than was ever thought of in your (narrow rationalist) philosophy’. Methods of study that have validity in one subject, do not always have validity in a different sphere. Jean Astruc, a physician to the Royal Court of France, applied analytical dissection to the historical record of the Bible, the living tradition of our people. The methods of the Critics have been called ’brutal vivisection’. ’The negative Critic came to the Bible as a hospital surgeon to a corpse which he is to dissect in the presence of admiring pupils’ (Birks, ’The Pentateuch and its Anatomists’). Today some appreciate that the ’analytical method’ has been taken to extremes, and that ’the history of the text is more than a matter of arithmetic’ (Weiser). The methods of study that are now applied to general literature represent a breakaway from literary criticism towards ’Werkinterpretation’. As applied to the Jewish Bible, this would imply giving up . Biblical Criticism in favour of the exegesis adopted by Jewish traditional commentators. This is clearly expounded in a recent work (I962) by M. Weiss. It is indeed surprising that whilst this method, which involves a positive, synthetic and direct approach, is applied to general literature, it has, with the exception of the traditionalists, hardly been attempted in Biblical research. The majority of the Critics were all firm believers in the dogma of evolution, regarding themselves at the apex of the ascent. They believed that evolution applied to all religious, moral, cultural and literary development. The works of Schmidt, Langdon and others have shown this to be false in the early history of mankind, where monotheism preceded polytheism. In our times, two World Wars and twentieth-century barbarism have convinced every thinking person that there is no evolution in the sphere of religion, morality and culture. Biblical scholars today realise ’that it was an a priori evolutionary scheme which guided Wellhausen in the utilisation of the sources’ (Mendenhall); and that ’an evolutionist way of looking at things dictated source analysis’ (M. Noth). Wellhausen’s theories were based upon preconceived Hegelian concepts of history—of thesis, antithesis and synthesis,——of a pre-prophetic, prophetic and a legal development in the history of Israel. ’Vatke’s scheme which revived the concepts of the eighteenth century in Hegelian form, was taken over in its entirety by Wellhausen’ (Pederson). Kegel in his ’Away with Wellhausen’, writes that ’Hegel begat Vatke, Vatke begat Wellhausen, and Wellhausen begat Delitzsch'. The Hegelian view of history is discredited today, especially as applied to the Bible. The Germans have a pedantic tendency to attempt to fit everything in heaven and earth into some kind of airtight system. ’They are unhappy unless they have everyone and everything accounted for, labelled and regimented’ (S. Goldman). This German thoroughness is very much overdone in ’German Theology’, ’German scissors’, and ’German poison’, as Bible Criticism has been aptly termed. Today many realise that Bible Criticism is ’hair—splitting and atom—dividing’ (Klosterman). ’The analytical method has been overdone and the synthetical ignored’ (Segal). ’Am Anfan war die Hypothese’ was the declaration of faith of many Higher Critics. ’They are higher than others solely through building their castles in the air, instead of on terra ﬁrma’ (Baxter). ’A theory was made into a Procrustean bed by means of which words, verses and sections of the Bible were slashed, hacked and twisted. The acceptance of a regnant hypothesis, or the devising of a new one, had become the only criterion for Biblical scholarship’ (S. Goldman). These methods have been characterised as ’superstitious, arbitrary and self-contradictory’. ’They repeat most rash hypotheses as though they were part of an unquestionable creed' (Von Orelli). ’With “hyper-papal dogmatism“ they develop a "may be” into a “probably”, "probably" into a “must be”, "must be” into a "was". They state that “scholars are agreed”, ignoring entirely the arguments of the many who disagree, discarding those who do not accept the “theory” as being no scholars’ (l. J. Lias). ’Records are appealed to as witnesses to establish a theory, but their veracity is impugned when their testimony is damaging to the theory’. ’Nothing but a piece of literary thimble-rigging’ (Robertson). The text is, after all, the basis for study. When its correctness and authenticity is doubted at every turn, no firm basis remains for study, let alone for theorising. University scholars were dominated by the desire to devise their own systems and productions of the Bible, and were dissatisfied with merely repeating what had been said before. ’The egotism and subjectivity of the Critics has been such, that each one has been bent on putting mankind under special obligation to his chosen field of investigation, for no more worthy reason than that it was his. The Arabian expert, the Assyriologist or Egyptologist, as the case might be, announced his field to be the source of the Bible (S. Goldman). Personal pride and desire for novelty are basic motives in Bible Criticism. The Critics had a false picture of the ancient world and no understanding of the Hebrew people and prophets. They thought that the Hebrew way of reasoning differed in no wise from that of the professors of Oxford and Heidelberg. ’The whole literary critical system rests upon a complete misunderstanding of the history of the ancient East. It represents a modern anachronistic book-view . . . a western desk-logical mind . . . a deficient understanding of Hebrew psychology, and a deficient knowledge of the Hebrew language and syntax’ M. Noth). ’Modern discoveries and studies have brought chaos within the well-ordered, but entirely fictitious and anachronistic construction, which constitutes the Wellhausenien fabric of learning’ (Engnell). Archaeological discoveries have changed the situation. The discovery of the remains of ancient civilisations, peoples and places, previously known only from the Bible; the excavation at Ur, the discovery of the Hittite Empire, the Sinaitic and other early inscriptions, the Tell-el-Amarna and Ras—Shamra tablets, the Stele. of Mernephtah, the Siloam inscription, the Meshah Stone, and hosts of other discoveries, have afforded ’Scientific Proof of Bible History’ (title of book by J. Elder). Hommel stated many years ago: ’The monuments speak with no faltering tongue. Already I seem to see signs of the approach of a new era, in which men will be able to brush aside the cobweb theories of the so-called Higher Critics, and leaving such old—fashioned errors behind, attempt to a clearer perception of the real facts’. ’So far as the edifices of erudition that have been reared by Old Testament Criticism are concerned, their foundations are proving to be most fragile material, if there is any material at all left for them to stand on’ (Marston). ’The more I dig into the past the more I am convinced that the Bible is astonishingly accurate as an historical record’ (Sir L. Wooley). ’It may be stated categorically that no archaeological discoverey has ever controverted a Biblical reference . . . Archaeological discoveries confirm in exact detail historical statements in the Bible . . . The Bible has an almost incredibly correct historical memory’ (N. Glueck). ’The Mosaic tradition is so consistent, so well attested, and so congruent with our independent knowledge of the ancient Near East, that only hyper-critical pseudo—rationalism can reject its essential historicity’ (Albright). The contradictions between the Critics form one of their greatest weaknesses. ’The real enemies and the ultimate levellers of this so—called Higher Criticism are they of its own household. Expert is ranged against expert, theory is displaced by theory, hypothesis by hypothesis’ (Ellicott). No one agrees how much is to be regarded as fact and how much as fable. There is no unified system. There is the Documentary Hypothesis, the Modified Documentary Hypothesis, the Fragmentary, the Supplementary, the Crystallisation, and the Development Hypotheses, the Form-Critical School, the Religio-Historical School, etc., etc. The Critics often contradict their own statements. Sometimes these may be regarded as revisions and reversals of theories previously held to be certain. But often they make arbitrary statements according to the whims, fancies and moods of the moment. generation of scholars have become common property among educated people, who remain unaware that they are no longer up-to-date in their views of the original history of Biblical religion’ (Mendenhall). came into existence at the time of Moses’ (MacOwen). There are many ’Reversals in Old Testament Criticism’ today (Ridderbos in ’Revelation and the Bible’, 1958). Dvinsk, M. Kasher, P. Wolff and B. Epstein, to mention but a few. By using the traditional and positive Jewish methods of interpretation, the strictures of the Critics show themselves to be cobweb theories easily brushed aside. (Compare, for example, the names of God, שמות דין ורחמים, the sequence of narratives, אין מוקדם ומאוחר, the ’specific methods of interpretation’, מדות שהתורה נדרשת בהם.) When a text is prepared with the Talmudical and Midrashic comments, with the Medieval commentators, with the more recent Exegetes of the school of Netziv, Malbim, Mecklenburg, Hirsch, and with those of the twentieth century referred to above, it is seen that Biblical Criticism cannot stand up to any criticism. It is of significance that the views and interpretations of these traditionalists are continually being confirmed. The anti-Critical strictures of Dr. Hertz, and those like him, in their time rather lonely voices in ’scholarly circles’, are now echoed and repeated in these very circles. The traditional works on the Bible are the only ones that are developed according to a unified, stable system; they have withstood the test of time, and are being reprinted and translated. But the efforts of the Critics are characterised by chaos and confusion; they are ephemeral and quickly outdated. 'Works produced by Biblical Critical authors before 1930 are rarely used’ (Mendenhall, in 196]). There have, unfortunately, always been some Jews who have adopted a servile attitude towards ' anti-Jewish and anti—Biblical ideas. (The prohibition of Shechitah in Switzerland is partly due to the statement of two ’Rabbis’ that it is not to be considered a religious law commanded by God, thus playing directly into the hands of, and supporting, the anti-Semites). Sa’adiah, hundreds of years ago, already had to contend with the Biblical Critic, Chivi Albalchi, a fellow-Jew. Spinoza and other Jewish Bible Critics have helped to make the struggle for Jewish spiritual survival most difficult. In our own day it is also unfortunate that some Jews have adopted an anti-Biblical attitude, and have been led to atheism, to the denial of Revelation, and to the adoption of the Biblical-Critical theories. These theories are taught in many Universities, but they are by no means certain, definite or factual. Their acceptance is not demanded in any University course (much as the acceptance of any theory of history is not demanded in a history course). A knowledge of the Critical theory is required in many Semitic courses, though it is quite possible (and there are many who have done so) to pass a Semitics course with Honours without knowing anything about Criticism. The major requirements are a knowledge of Semitic Grammar, history, literature, etc., i.e. the facts, whilst the interpretation of the facts is left to the individual. It is therefore possible f0r a Jew to take a Semitics course without a study of Criticism. If, however, he does study Biblical Criticism, he should not adopt an attitude of servile credulity towards the latest versions of the Critical dogmas. He should not digest all the anti-Biblical and anti-Jewish statements, and ignore the opposing views. He should show a little critical acumen in applying his mind to transient, theoretical Criticism, and treat with respect the 3,000 year-old traditional approach to Judaism. We may bring an illustration from the Christological interpretation of the Jewish Scriptures accepted by all Gentile European universities and scholars throughout the Middle Ages. Did Jews then accept or take any notice of the ’verdict of scholarship’? Who has been shown to be correct today? The Jew, who had his independent, time—tested approach to the Bible, and enough self-respect not to succumb to anti-Jewish theories. The same attitude should be adopted towards Biblical Criticism. These terms belong to a specifically Christian controversy, concerned primarily with the question of evolution and the superficial literal meaning of the text. The traditional Jewish approach does not necessarily preclude the acceptance of partial evolution; and our attitude to the text is based upon the Oral Tradition which very often gives a non—literal interpretation of the text. Judaism believes in ’verbal inspiration’ of the Pentateuch in the sense that every word is from God. But our explanation of the words must follow the living tradition of תורה שבעל פה. the Oral Teaching. We are, therefore, neither Fundamentalists nor Modernists. The Torah is in every way far ahead of the times, and by adhering to its truth we are ultra-modern. If, however, ’Fundamentalism’ is taken to mean the acceptance of the Divine Revelation of the whole Torah, then we are Fundamentalists; but every system of thought and religion demands the acceptance of some fundamentals as axiomatic. Without this it would lack all character, backbone and basis. And if ’Modernity’ means applicability to our time, then the Torah is most modern, since it affords the best guide and solution to all the questions of our time. It is the Critics who have been termed the ’ancient moderns’. The apparent 'conflict between the truths of Judaism and those of human reason is the perennial theme of Jewish philosophy. The Jewish philosophers demonstrated that the conflict was not between Judaism and the calm application of reason as such, but between Judaism and certain concepts arbitrarily held to represent the indisputable and immutable results of reason. In different ages different sets of ideas are accorded, by the consent of the majority, the distinction of being the highest expression of reason. Anyone who dares challenge the accepted view is, by definition, considered irrational. The same applies to Biblical Criticism. He who lives in a social group where Bible Criticism is arbitrarily and dogmatically assumed to be rational, will be considered irrational if he does not accept it.’ (The arguments brought against believers in Revelation can be applied, in boomerang fashion, to believers in God.) ’But Hoffman and many others have shown that methods based on the strict application of reason can serve equally well, or perhaps better, the traditional Jewish interpretations of the Bible text, and that only preconceived conceptions and attitudes have produced the host of ideas and interpretations which together constitute the so-called scientific study of the Bible’ (Hefetz). The adoption of the many prejudices and dogmas involved in Bible Criticism is more unreasonable than the acceptance of Revelation, which is supported by Reason. We have shown above that that the term 'science’ cannot be applied to Bible Criticism which is in a state of fluidity and chaos. (It may in any case be doubted whether the use of this term is legitimate in the sphere of historical and literary studies.) The use of this name for Bible Criticism is, to say the least, most unscientific. If anything, the solid and stable exegesis of traditional Biblical study, governed by a unified system, is far more scientific. True scientific approaches in no way contradict the orthodox Jewish beliefs. This is shown, in addition to other signs, by the growing World Assocation of Orthodox Jewish Scientists, which counts some of the great modern scientists among its members (like Radkowsky and H. Goldstein). ’Woe unto them that call evil good, and good evil, that change darkness into light and light into darkness . . . . that are wise in their own eyes and prudent in the own sight . . . that are mighty to drink wine . . . that justify the wicked for a reward and take away the righteousness of the righteous from him!’ (Isaiah, 5:20-23). ln depicting an age when the sense of values is confused, the prophet refers to those who are so proud of their cleverness that they consider themselves to be most enlightened, and their opponents to be living in the obscure thought-patterns of the dark ages. For Jew and Gentile alike the Torah of God has always been the source of light and enlightenment. Any departure from its truth, which has often happened when other sources have been wrongly assumed to bring ’enlightenment’ (השכלה often termed הסכלה, ’folly’), has only led to dark negative tendencies in the sphere of religion and morality. The so-called ’Enlightened Judaism’ is really the beginning of an ’Extinguished Judaism'. The consequences of the teachings of the self-styled enlightened rationalists, as depicted in Isaiah, are only too well—known in our modern world. ’There has always been a readiness among Critics to dismiss as obscurantists those who refuse to credit their view’ (Macdonald). But 'to reject external revelation; to regard the mind as a law unto itself, is not to become enlightened, but is to fall into the greatest of deceptions. To exalt human reason, as though it in itself were the final arbiter of things is in reality to substitute the creature for the Creator' (E. J. Young). It can be shown that the unified system of Jewish tradition, whilst demanding the acceptance of an axiomatic, reasonable doctrine, thereafter encourages the use of the critical faculty within correct limits. This is the conditio sine qua non of all Talmudical and cognate studies. Jewish doctrine is based upon the axiomatic assumption of תורה מן השמים (see above, Part I), but possesses no set of dogmas in the ChriStian meaning of the word. The principles of faith have been variously formulated and stressed according to the needs of time and place. Great freedom of interpretation is allowed. The manner of presentation of the creed is through education, persuasion and discussion. Credulity is not demanded; open enquiry is encouraged, though it should not exceed its legitimate limits. Reason and Revelation (which is the basis of the creed) coincide with, or complement, one another. The Hebrew אמונה, ’faith’, is related to the Hebrew אמת —’truth’. There is a general readiness, and even encouragement, to accept truth from any source, as long as it is measured by the gauge of the Torah. This grants true freedom of thought, for without a definite pattern and framework of reference, thinking may become extremely fluid, chaotic and meaningless. The practical regular discipline of actions, emotions and instincts demanded by the Torah, is the only means of freeing man's judgement from subjective, personal bias, and from the blinding power of instinct and environment. It is the key to free, objective thought. This is of especial importance today, when the influence of Eastern totalitarianism, or Western persuasive materialism, in the press, radio, entertainment, etc., make free thought very difficult. It is active conviction and thoughtful action that is demanded. Thought or belief by themselves are considered of little value, if not integrated into a complete and concrete way of life. This accounts for the predominance of the pragmatic attitude and for the lack of a catechism in Jewish Teaching. It is therefore clear that תורה מן השמים — Divine Revelation, does not demand a credulous attitude, nor is it dogmatic. But Bible Criticism, as shown above, possesses these two qualities in abundance. The credulous Critics are most dogmatic. individual, national and international, is elevated into Divine Service. Theology is not a Jewish concept—'The hidden things belong to God; to do and fulfil the words of this Torah—this has been revealed to us’ (Deuteronomy Z9 : 28). Theology is the preoccupation of those who ’presume to scan God’. ' Judaism expresses, not so much what God is, but what He wants man to do. It has thus been termed ’Theonomyl (l. Grunfeld). It is significant that over a century ago, the Reform Movement in Germany founded Societies and Periodicals under the banner of ’Jewish Theology', following, as they were, the antinomian tendencies of the time, and thus undermining Jewish observance. Great harm is done by introducing the confusing theories of Bible Criticism to the layman who has perhaps never even read through the Bible. What sense can. there be in preaching that the attitude to the Bible needs to be changed, to people who have never adopted an attitude towards it? Complicated and advanced theological and exegetical questions of this nature should only be considered after prolonged and careful study of the Bible, otherwise they are liable to destroy all reverence for the Bible and its teachings. Many people who know nothing of religion or the Bible think that they are fit to pass judgement on these profound subjects by reading a few newspaper articles. It is only knowledge that teaches humility. The purely negative attitude towards the Bible and Jewish tradition that is now being Spread in peripatetic fashion in Great Britain is sowing doubt and confusion. It is disturbing the constructive work of Jewish educationalists throughout the country, who are occupied in removing the doubts sown in the minds of the young by Gentile opponents of Jewish traditional beliefs in the Bible. There are hardly any Conservative or Reform Rabbis in the world today who deliver sermons and lectures on the importance of accepting Bible Criticism. They all understand the importance of working in a positive direction. On the whole, even extreme Critical scholars adopt an attitude of respect, and sometimes envious admiration, towards the upholders of the traditional point of view. An attitude of ridicule is, today, rare indeed. It is to the great credit of Anglo-Jewry, however far removed its members may be from the regular observance of Judaism, that the majority are ’orthodox’ in the literal meaning of 'correctly believing’. They believe in the Jewish Bible as the word of God. To weaken this belief is to remove the little bit of Jewishness that they still feel in their heart. More than this, it might well shatter the basis for Jewish observance. Fer ordinary people are not capable of accepting vague, subtle, academic distinctions: 'it depends what you mean by Torah Min Hashamayim’. Either the Mitzvoth come from God, and have absolute value, or they are to be left to individual judgement. lt has been stated that ’the Jew should continue to adhere to the Mitzvoth, for they have for so long been, and perhaps still are, ladders to Heaven, even if they were not revealed from Heaven . . ’ Does not this reduce the Mitzvoth, in the minds of many, to nothing more than inspired folk-ways, and according to this thinking, is there really any distinction between the observance of Kashruth and the wearing of a Yarmalke? Bible Criticism does not only destroy the basis for observance of Judaism. It also removes the basis for the Absolute Moral Code. Doubt in Divine Revelation brought moral degeneration to the first human beings— and to modern man. ’Future historians will have to investigate how far the undermining by the Bible Critics of the respect for Israel’s Torah and its eternal values has prepared the moral climate for the cynical disregard of human freedom and human life, which characterises the totalitarian paganism and the moral debacle of our eral (l. Grunfeld). Bible Criticism was influenced by, and gave support to, the nihilistic, atheistic and materialistic movements of our time. It prepared the ground for Nazism. ‘The Nazi attacks upon the Jewish community derived much of their ammunition from the older tradition of Old Testament Studies’ (H. J. Kraus). The decimation of the Jewish body by the German brutes would have been impossible without the preceding decimation of the Jewish Bible by the German ’brains'. It is about time that we should learn our lesson to discard Bible Criticism and return to true Torah study. The ’scholars’ have concentrated all too much upon questions of 'origin’, ’background', and other externals of the texts or historical episodes, instead of concentrating upon 'what' is said in the sources. They have thereby divorced the Pentateuch from life, from the present and the future. A positive attitude towards our heritage from the past is the only foundation for a positive and constructive solution to the many problems of the day, for Israel and for mankind. A re—affirmation of the Torah of God, our NatiOnal Code of Life, is the only means of restOring unity and cohesion in the scattered and divided Jewish communities of the earth. It is the the only bulwark against individual and national assimilation, the only way of retaining our identity, and the only raison d’étre for our continued separate existence in the community of nations. The Torah as the Word of God must become the basis for our life in the State of Israel and the Diaspora as 'a kingdom of priests and a holy nation’. This may well remove anti-Semitism, transforming the hostility of the nations towards us into an attitude of admiration. We would fulfil our task in the world, preparing it for the Messianic era. The Universal (Noachide) Code of Life is incorporated in the Divine Revelation of Israel. This Code could solve the religious, moral, social, economic, political and international problems of to—day. We must do our part in fighting against atheism, irreligion and materialism—both Eastern aggressiveness and Western indifference-——by declaring, and living according to, the Will of the Personal Ethical God of the Bible. We must struggle against all forms of racialism, tyranny and persecution—by declarin the Fatherhood of God, and the brotherhood and freedom of man, as revealed in the Bible. In the present atmosphere of international tension and mistrust, which threatens man’s survival, we must affirm the prophetic vision of universal permanent peace, based upon trust in the Personal God of Israel, and the fulfilment of the international Code of the Torah. The two opposing ideological and economic systems of East and West which have split mankind, find their compromising meeting-point in the system of the Torah which combines the good elements of both capitalism and communism, whilst avoiding the bad elements. It teaches that the resources of the earth are loaned to the individual, to be used for the purpose of developing, and according to the pattern of, social righteousness. The phenomenal upsurgence of scientific civilisation has made the human dilemma acute: how can one ensure that man will not abuse the powerful forces of nature that are now at his disposal? The Divine Revelation replies by introducing a pattern of life that will discipline man to build up, and not destroy, God’s world. The present-day social ferment, insecurity, fragmentisation, confusion and delinquency, especially amongst youth, can only be removed by the application of the Divine Science of Man, which is high, yet simple, stable, yet dynamic; and provides guidance for all circumstances. ’The great issue of our time, and the issue that is least regarded, is how there can be produced throughout the world a common habit of daily life which will lead to high ethical standards’ (MacMurray). This is outlined in the Hebraic tradition, and is the only way of solving the grave economic and political problems of to-day. The further evolution of mankind towards greater perfection may be achieved by adopting the Torah as the guide for greater unity of life from the Unity of God; and the development of all human faculties through the service of God. ’God, the Torah and Israel form an indissoluble unity.’ The existence and survival of our people depends upon the Teaching which comes from God. Any attack upon one of these three is eo ipso an attack upon the other two. He who attacks Revelation, thereby attacks Israel and God. תניא אידך: כי דבר ה' בזה - זה האומר אין תורה מן השמים. ואפילו אמר: כל התורה כולה מן השמים, חוץ מפסוק זה שלא אמרו הקדוש ברוך הוא אלא משה מפי עצמו - זהו כי דבר ה' בזה. ואפילו אמר: כל התורה כולה מן השמים, חוץ מדקדוק זה, מקל וחומר זה, מגזרה שוה זו - זה הוא כי דבר ה' בזה. שאלת ממני על ענין עיקרי הדת על איזה חשבון אני מסכים על הרמב"ם ז"ל או על הרב בן חסדאי או על חשבון ר' יוסף אלבו. תשובה אין דעתי מסכמת לשום לתורתנו התמימה שום עיקר לפי שכולה עיקר מפי הגבורה וארז"ל כל האומר כל התורה כולה מן השמים חוץ מפסוק א' וכו' וא"כ כל מצוה ומצוה היא עיקר ופנה ויש לך מצוה קלה ויש לה טעם וסוד אשר לא נשיגהו וא"כ איך נאמר שזו טפילה ואחרת היא עיקר: כללות בדברים יפה כתב בזה ר' יצחק אברבנאל ז"ל בספר ראש אמנה ע"ש כי הוא האריך והרחיב הדבור והשיב על הראשונים וכן הוא דעתי שהתורה כל פרטיה ודקדוקיה כל א' מהם עיקר ויסוד ופנה והמכחיש אותו נקרא כופר ואין לו חלק לעו"ה: ומזה הטעם אם אנסוהו לעבור על אחת מכל מצות האמורות בתורה באומרם שלא צוה הקדוש ברוך הוא עליה או שהיתה לזמן מה וכבר נתבטלה יהרג ואל יעבור ולא אמרינן יעבור ואל יהרג אלא כשאומרים לו חלל שבת לעבור על דתך וכן כתב הריט"בא ז"ל ולמד ממנה שאם אונסים אותו לחזור לדעת העכו"ם /במהדורת ונציה תק"ט: הישמעאלים/ אף על פי שאינם עובדי ע"ז יהרג ואל יעבור והנל"ד כתבתי. והיסוד הששי הנבואה. והוא, לדעת שזה המין האנושי יש שימצאו בו אישים בעלי כשרונות מפותחים מאד ושלמות גדולה, ותתכונן נפשם עד שמקבלת צורת השכל, ויתחבר אותו השכל האנושי בשכל הפועל, ויאצל עליהם ממנו אצילות שפע, ואלה הם הנביאים, וזוהי הנבואה וזהו ענינה. וביאור היסוד הזה בשלימות יארך מאד, ואין מטרתינו פירוט כל יסוד מהם וביאור דרכי ידיעתו, לפי שזה הוא כללות כל המדעים, אלא נזכירם בדרך הודעה בלבד, ופסוקי התורה מעידים בנבואת נביאים רבים. והיסוד השביעי נבואת משה רבינו. והוא, שנאמין שהוא אביהן של כל הנביאים שקדמו לפניו והבאים אחריו, הכל הם למטה ממנו במעלה, והוא בחיר ה' מכל המין האנושי, אשר השיג ממנו יתעלה יותר ממה שהשיג וישיג כל אדם שנמצא ושימצא. ושהוא עליו השלום הגיע לתכלית הרוממות מעל האנושיות עד שהשיג המעלה המלאכית ונעשה במעלת המלאכים, לא נשאר לפניו שום מסך שלא קרעו ולא עצר בעדו שום מעצור גופני, ולא נשאר בו שום דבר מן החסרון לא מעט ולא הרבה, והושבתו בו הכוחות הדמיוניים והחושים בכל השגותיו, ונתבהל כוחו המתעורר, ונשאר שכל בלבד, ועל ענין זה אמרו עליו שהוא מדבר עם ה' בלי אמצעות המלאכים. ורציתי לבאר כאן זה הענין הנפלא, ואפרש סתומות פסוקי התורה, ואבאר ענין אמרו פה אל פה וכל הפסוק הזה וזולתו מענינו, לולי שראיתי שהענינים האלו דקים מאד וצריכים להרחבה מרובה והקדמות ומשלים, ושצריך לבאר תחלה מציאות המלאכים ושנויי מעלותיהם לפני הבורא, וכן ביאור הנפש וכל כחותיה, ויתרחב ההקף עד שנגיע לדבר על הצורות שהזכירו הנביאים לבורא ולמלאכיו, ולא יספיק לענין זה לבדו ואפילו אקצר תכלית הקצור מאה דפים, ולכן אניחנו למקומו או בספר ביאורי הדרשות שהבטחתי בו, או בספר הנבואה שהתחלתי לחברו, או בספר שאחבר בפירוש אלו היסודות. ואחזור לענין היסוד הזה השביעי ואומר שנבואת משה רבינו נבדלה מנבואת כל שאר הנביאים בארבעה הבדלים, ההבדל הראשון שכל נביא איזה שיהיה אין ה' מדבר אתו כי אם על ידי אמצעי, ומשה בלי אמצעי כמו שאמר פה אל פה אדבר בו. וההבדל השני שכל נביא לא יבואהו החזון אלא בזמן השינה כמו שאמר בכמה מקומות בחלום הלילה, ויחלם, בחלום חזיון לילה וכו' והרבה מן הענין הזה, או ביום אחר תרדמה הנופלת על הנביא ומצב שבו שובתים כל חושיו ומתרוקנת מחשבתו כעין שינה, ומצב זה נקרא מחזה ומראה, ועליו הוא אומר במראות אלהים. ומשה בא לו הדבור ביום והוא עומד בין שני הכרובים כמו שהבטיחו ה' ונועדתי לך שם ודברתי אתך וכו', אמר יתעלה אם יהיה נביאכם ה' במראה אליו אתודע בחלום אדבר בו. לא כן עבדי משה. וההבדל השלישי שהנביא כאשר בא לו החזון ואף על פי שהוא במראה ועל ידי מלאך יחלשו כחותיו ומתחלחל גופו וירד עליו מורא עצום מאד כאלו הולך למות, כמו שביאר בדניאל כשדבר עמו גבריאל במראה אמר ולא נשאר בי כח והודי נהפך עלי למשחית ולא עצרתי כח. ואמר ואני הייתי נרדם על פני ופני ארצה, ואמר במראה נהפכו צירי עלי. ומשה אינו כן אלא יבואהו הדבור ולא תארע לו חלחלה כלל והוא אמרו יתעלה ודבר ה' אל משה פנים אל פנים כאשר ידבר איש אל רעהו, כלומר כשם שלא יארע לאדם שום חרדה מדברי חברו כך הוא עליו השלום לא היה נחרד מן הדבור ואף על פי שהוא פנים בפנים, וזה מחמת חוזק התחברו בשכל כמו שאמרנו. וההבדל הרביעי שכל הנביאים לא יבואם החזון ברצונם אלא ברצון ה', ויש שישאר הנביא כמה שנים ולא יבואהו חזון, ויש שמבקשין מן הנביא להודיעם דבר בנבואה וישאר עד שתבוא לו הנבואה אחר ימים או אחר חדשים או לא תבוא לו כלל. וכבר ראינו מהם מי שהתכונן על ידי שמחת הלב וזכוך המחשבה כמו שעשה אלישע באמרו ועתה קחו לי מנגן אז בא לו החזון. ואין זה הכרחי שיתנבא כל זמן שיתכונן, אבל משה רבינו כל זמן שירצה אמר עמדו ואשמעה מה יצוה ה' לכם, ואמר דבר אל אהרן אחיך ואל יבוא בכל עת, ואמרו אהרן בבל יבוא ואין משה בבל יבוא. והיסוד השמיני הוא תורה מן השמים. והוא, שנאמין שכל התורה הזו הנמצאת בידינו היום הזה היא התורה שניתנה למשה, ושהיא כולה מפי הגבורה, כלומר שהגיעה עליו כולה מאת ה' הגעה שקורים אותה על דרך ההשאלה דבור, ואין יודע איכות אותה ההגעה אלא הוא עליו השלום אשר הגיעה אליו, ושהוא במעלת לבלר שקורין לפניו והוא כותב כולה תאריכיה וספוריה ומצותיה, וכך נקרא מחוקק. ואין הבדל בין ובני חם כוש ומצרים ופוט וכנען, ושם אשתו מהיטבאל בת מטרד, או אנכי ה', ושמע ישראל ה' אלהינו ה' אחד, הכל מפי הגבורה והכל תורת ה' תמימה טהורה קדושה אמת. ולא נעשה מנשה אצלם כופר ופוקר יותר מכל כופר אחר אלא לפי שחשב שיש בתורה תוך וקלפה, ושאלו התאריכים והספורים אין תועלת בהם, ומשה מדעתו אמרם, וזהו ענין אין תורה מן השמים, אמרו שהוא האומר שכל התורה כולה מפי הקדוש ברוך הוא חוץ מפסוק אחד שלא אמרו הקדוש ברוך הוא אלא משה מפי עצמו וזה הוא כי דבר ה' בזה - תעלה ה' ממה שאומרים הכופרים - אלא כל אות שבה יש בה חכמות ונפלאות למי שהבינו ה', ולא תושג תכלית חכמתה, ארוכה מארץ מדה ורחבה מני ים. ואין לאדם אלא להתפלל כמו דוד משיח אלהי יעקב שהתפלל גל עיני ואביטה נפלאות מתורתיך. וכן פירושה המקובל גם הוא מפי הגבורה, וזה שאנו עושים היום צורת הסוכה והלולב והשופר והציצית והתפילים וזולתם היא עצמה הצורה שאמר ה' למשה ואמר להו, והוא רק מוביל שליחות נאמן במה שהביא, והדבור המורה על היסוד הזה השמיני הוא אמרו בזאת תדעון כי ה' שלחני וכו' כי לא מלבי. ויסוד התשיעי הבטול. והוא שזו תורת משה לא תבטל, ולא תבוא תורה מאת ה' זולתה, ולא יתוסף בה ולא יגרע ממנה לא בכתוב ולא בפירוש, אמר לא תוסף עליו ולא תגרע ממנו. וכבר ביארנו מה שצריך לבאר ביסוד זה בהקדמת החבור הזה. והיסוד העשירי שהוא יתעלה יודע מעשה בני אדם ולא הזניחם, ולא כדעת האומר עזב ה' את הארץ, אלא כמו שאמר גדול העצה ורב העליליה אשר עיניך פקוחות על כל דרכי בני האדם, ואמר וירא ה' כי רבה רעת האדם בארץ, ואמר זעקת סדום ועמורה כי רבה, הרי אלו מורים על היסוד העשירי הזה. והיסוד האחד עשר שהוא יתעלה משלם גמול טוב למי שמקיים מצות התורה, ומעניש מי שעובר על אזהרותיה, ושגמולו הגדול הוא העולם הבא, ועונשו החמור הכרת. וכבר אמרנו בענין זה מה שיש בו די. והפסוק המורה על היסוד הזה אמרו אם תשא חטאתם ואם אין מחיני נא מספרך, והשיבו יתעלה מי אשר חטא לי וכו'. ראיה שידוע לפניו העובד והחוטא לשלם גמול טוב לזה ולענוש את זה. והיסוד השנים עשר ימות המשיח, והוא להאמין ולאמת שיבא ואין לומר שנתאחר אם יתמהמה חכה לו, ואין לקבוע לו זמן, ולא לפרש את המקראות כדי להוציא מהן זמן בואו, אמרו חכמים תפוח דעתן של מחשבי קצין. ולהאמין בו מן הגדולה והאהבה ולהתפלל לבואו בהתאם למה שנאמר בו על ידי כל נביא, ממשה ועד מלאכי. ומי שנסתפק בו או זלזל בענינו הרי זה מכחיש את התורה שהבטיחה בו בפירוש בפרשת בלעם ואתם נצבים. ומכלל היסוד הזה שאין מלך לישראל אלא מדוד ומזרע שלמה דוקא. וכל החולק בענין המשפחה הזו הרי זה כפר בה' ובדברי נביאיו. והיסוד השלשה עשר תחיית המתים וכבר ביארנוהו. וכאשר יהיו קיימים לאדם כל היסודות הללו ואמונתו בהם אמתית, הרי הוא נכנס בכלל ישראל, וחובה לאהבו ולחמול עליו וכל מה שצוה ה' אותנו זה על זה מן האהבה והאחוה, ואפילו עשה מה שיכול להיות מן העבירות מחמת תאותו והתגברות יצרו הרע, הרי הוא נענש לפי גודל מריו ויש לו חלק, והוא מפושעי ישראל. וכאשר יפקפק אדם ביסוד מאלו היסודות הרי זה יצא מן הכלל וכפר בעיקר ונקרא מין ואפיקורוס וקוצץ בנטיעות, וחובה לשנותו ולהשמידו ועליו הוא אומר הלא משנאיך ה' אשנא וכו'. וכבר הארכתי בדברים מאד ויצאתי מענין חבורי, אלא שעשיתי כן לפי שראיתי שזה תועלת באמונה לפי שאני אספתי לך דברים רבים מועילים המפוזרים בחבורים רבים וגדולים, היה בהם מאושר. וחזור על דברי אלה פעמים רבות, והתבונן בהם היטב. ואם תשלה אותך מחשבתך שכבר הבנת עניניו מפעם אחת או עשר, ה' יודע שבשקר השלתה אותך. ואל תמהר בו לפי שני לא כתבתיו איך שנזדמן אלא אחר התבוננות וישוב הדעת ועיון בדעות נכונות ובלתי נכונות, וסכום מה שצריך להאמין מהם ובירורו בטענות וראיות על כל ענין וענין, ומאת ה' אשאל לנחותיני בדרך האמת. A supplement containing sources, notes and bibliography, will, P.G., soon be available from Torah Publications. A larger and more comprehensive work on the above subject is being prepared.